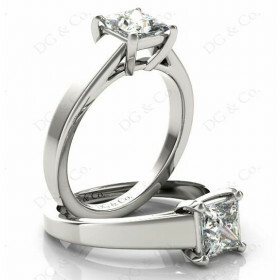 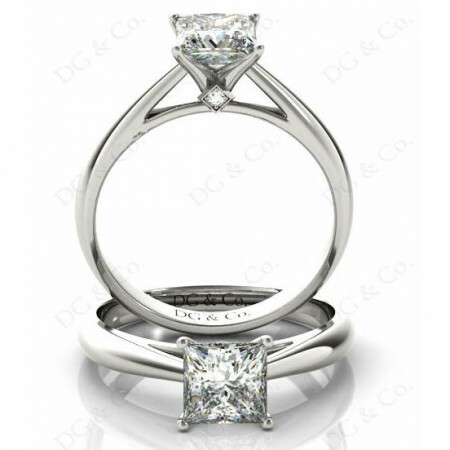 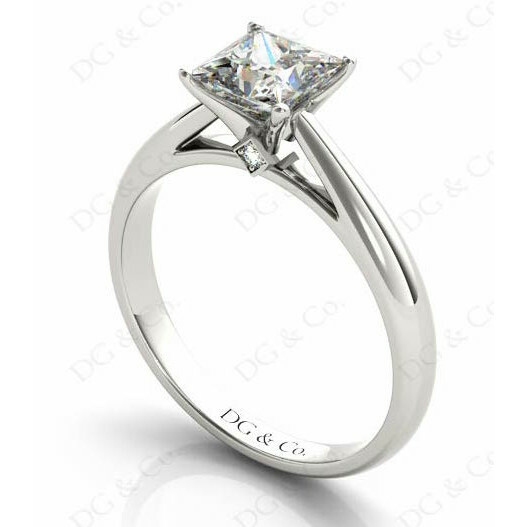 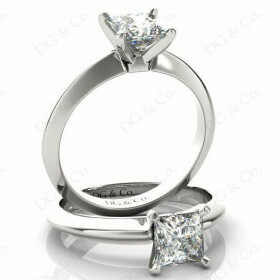 Princess Cut Four Claw Set Diamond Ring with Claw Set Side Stones. 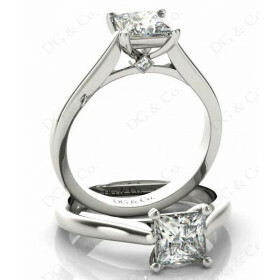 Diamond Engagement Ring with Princess Cut Diamond and Claw Set Side Stones on a Plain Band. 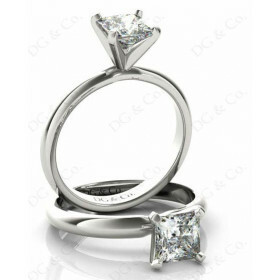 Side stones 2 round diamonds 0.013 carat. 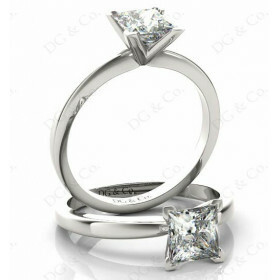 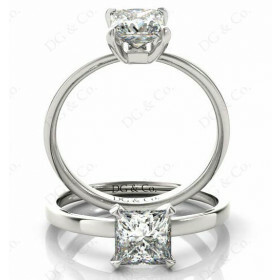 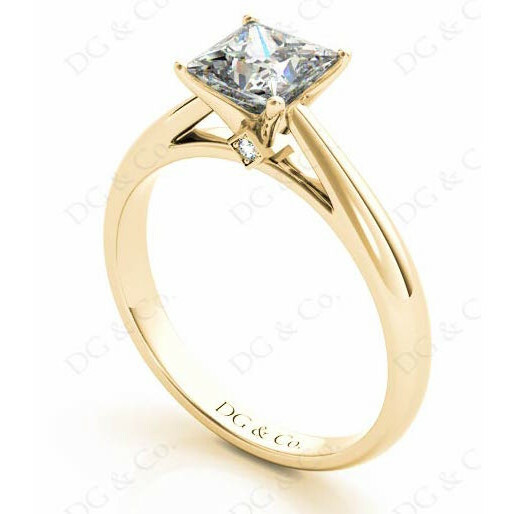 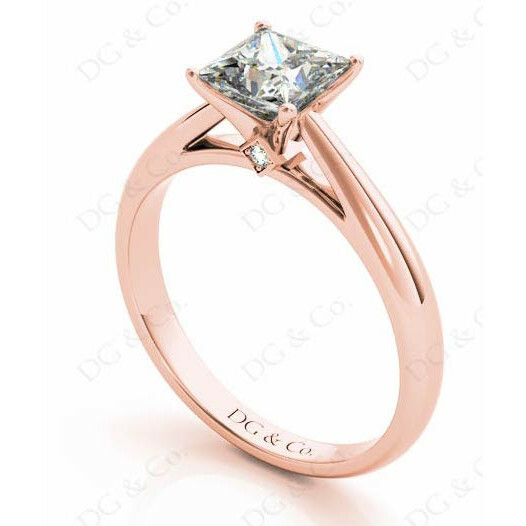 You're reviewing: Princess Cut Four Claw Set Diamond Ring with Claw Set Side Stones.